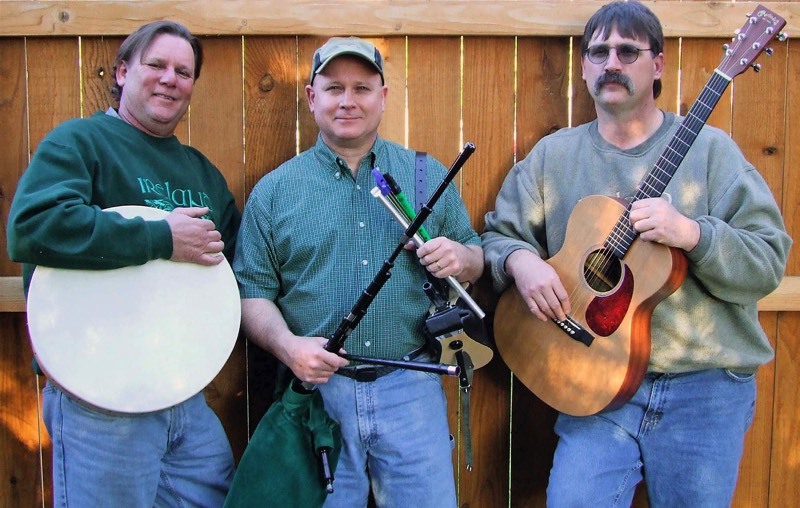 Skweez The Weezle is an acoustic band that has been proudly carrying on the Celtic music tradition since March 1999 from their base of operations in the Tri-Cities (Kennewick, Pasco, Richland), West Richland, Benton City, and Mid-Columbia area of southeastern Washington state. Founding member David Lanigan currently plays both Scottish Lowland bagpipes and smallpipes (bellows-blown bagpipes with three or four drones in a common stock), whistles (commonly called tin or penny whistles), and a tenor mandola (4-course stringed instrument in the mandolin family). Troy Hanford plays guitar (either a McMartin or MacMartin, depending on if he’s playing an Irish tune or a Scottish one!) and sings lead vocals. Mike Day plays Irish bodhràn (frame drum played with a tipper), snare cajon, and shaky egg. He adds backing vocals. The band's current repertoire includes traditional and original tunes and songs from Highland and Lowland Scotland, Ireland, Cape Breton Island, Brittany, Wales, and the USA. For the past twenty years, the band has kept a busy schedule performing throughout Washington, Oregon, Idaho, and Montana at festivals, Highland games, concerts, coffeehouses, wineries, book stores, universities, weddings, receptions, and private parties. Skweez The Weezle's first CD "A Celtic Band" was released in May 2002. Recorded in various places, including the Jacob Room of Sector 7G Studios, the CD has been well received by listeners throughout the world.